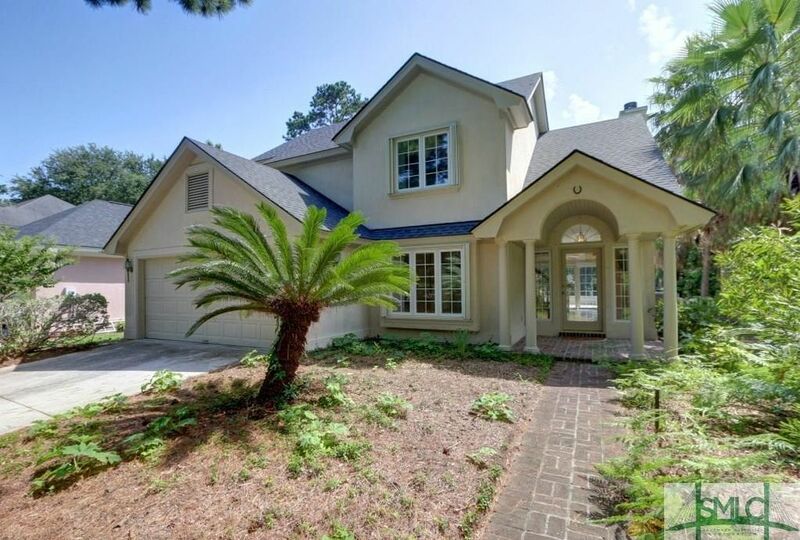 Stucco custom home w/master downstairs. Light and bright with marble floors. Dining room. kitchen & master have window seats. 3 Bedroom, and 2 baths up stairs. Betz Creek Tidal creek with - golf course view. Neighborhood offers pool/tennis and green space to walk the dogs! Friendly neighbors on this circle street, Walk to Brand NEW May Howard School. Newer roof & hurricane shutters. Not in flood zone, so lower insurance. Come home to Wilmington's Exclusive Island Creek Community. Directions: Wilmington Island Rd to Cromwell - right in Island Creek to patio homes - right- then 1st right.